Over the last 50 years, Cuba’s comprehensive social protection programs have largely eradicated hunger and poverty. In 2011, the Government of Cuba launched a process to update its economic model to improve efficiency, reduce costs and increase sustainability of social protection programs. These efforts are guided by the Government’s commitment to ensure that no Cuban is left unprotected. In this process, food security was identified as a national priority. WFP has been present in Cuba since 1963. 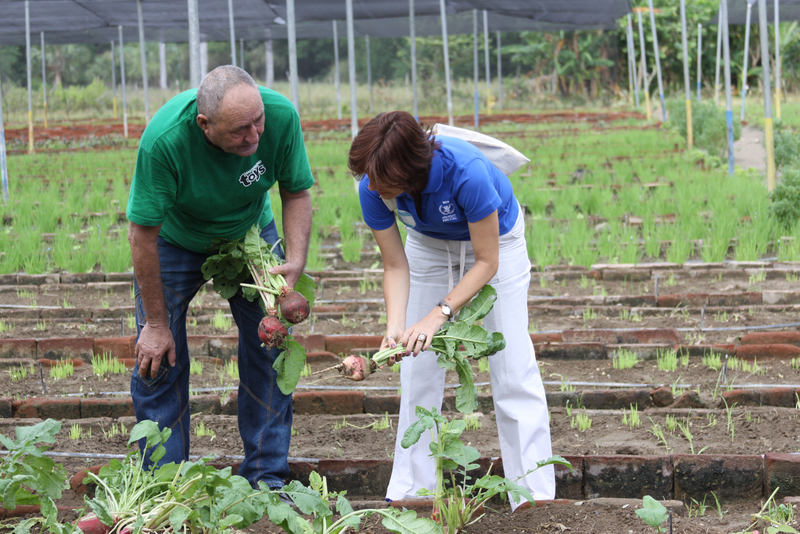 In 2015, WFP launched its first four-year Country Program for Cuba, to support government efforts to strengthen its food security and nutrition. WFP works in five eastern provinces—Granma, Guantanamo, Holguin, Las Tunas and Santiago de Cuba—that have the lowest development rates and are prone to drought, torrential rains and occasional earthquakes. In addition, WFP works in the provinces of Pinar del Rio and Matanzas in western Cuba, which are very exposed to tropical cyclones with severe impacts on food security and nutrition. Support to food-based safety nets: WFP supports national efforts to strengthen the sustainability and efficiency of food-based safety nets for vulnerable groups by piloting new management models and enhancing knowledge and capacity. WFP provides support to the National Plan for the Prevention and Control of Anaemia, focusing on iron supplementation, food fortification and dietary diversification among children aged 6 months to 23 months, as well as pregnant and nursing women. WFP also provides assistance to strengthen the national Security and Nutrition Monitoring System, by promoting studies for a greater understanding of the current food security and nutrition situation and ensuring continued support to the most vulnerable. Strengthen food value chains: WFP is working in close collaboration with the government to strengthen local agricultural value chains, with a focus on beans. It promotes a new management model that increases sustainability through linkages between agricultural production and food-based safety nets, by stimulating food production. This will contribute to a reliable, timely and stable food supply to social protection programs and reduce food imports. Capacity development and augmentation is at the core of WFP’s activities. Strengthen resilience and disaster risk management: WFP is providing technical assistance to strengthen government response capacities to climate-related hazards, to mitigate the impact of shocks on the food security and nutrition of the population. WFP is supporting the integration of food security analysis into national early-warning systems for drought and hurricanes, as well as the dissemination of related information to national and local decision-makers. An emergency contingency stock to provide immediate food assistance to nearly 275,000 people for a period of one month has been established to enable WFP’s rapid response in the event of a natural disaster in Cuba.